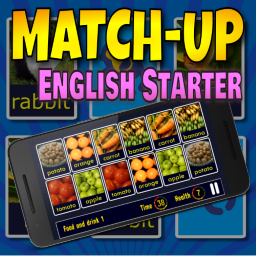 Match-Up English Starter is a fun card game for learning English vocabulary easily and quickly by matching pictures, audio and English words. It includes the game “Pairs” and quizzes designed to teach and test your English knowledge as you progress through a fun course in basic English nouns. This free starter level course is designed for beginners of the English language or anyone who wants to practise their English vocabulary. The game is designed for children, students and adults. 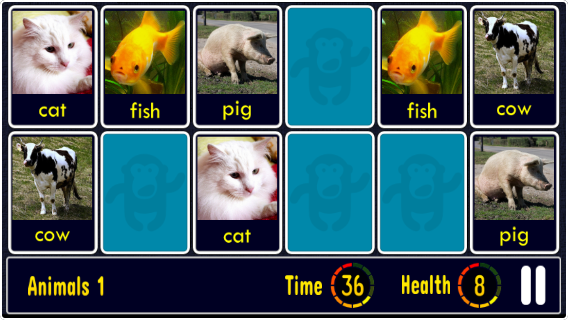 Learn English vocabulary by matching pictures to pictures. Practise English vocabulary by matching the nouns to their pictures. 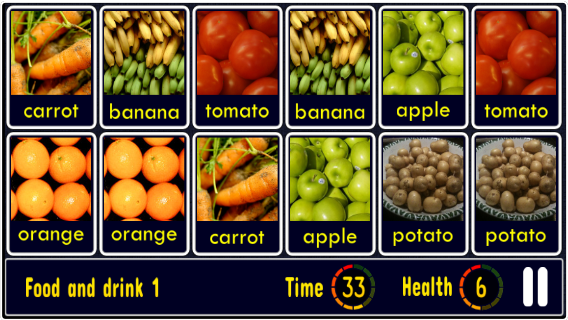 Play quiz levels to test your English vocabulary. Remember your new English vocabulary by playing review games. In the quizzes you must also listen to the sounds of the English words. Excellent! Kids of all ages well with her play. Super game Great benefits for children !! !